Art Jamming is not about Problem Solving. Team building does not have to involve a formal method to get the best out of your team. The usual team building often requires some activity to improve problem-solving skills, or an activity to improve communication of your team members. The purpose of team building, after all, is to bring out the best of the whole group. The best teams are those that work well together while leveraging on the individual talents and strengths of the individual. Team Bonding with Art Jamming is Fun! Another aspect of team building is to create positive bonds between team members. 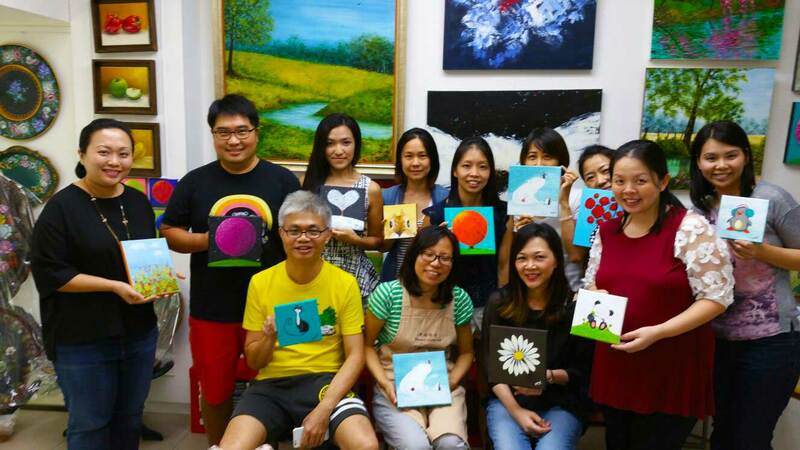 Corporate team building with Art Jamming is one way to help your team bond together. 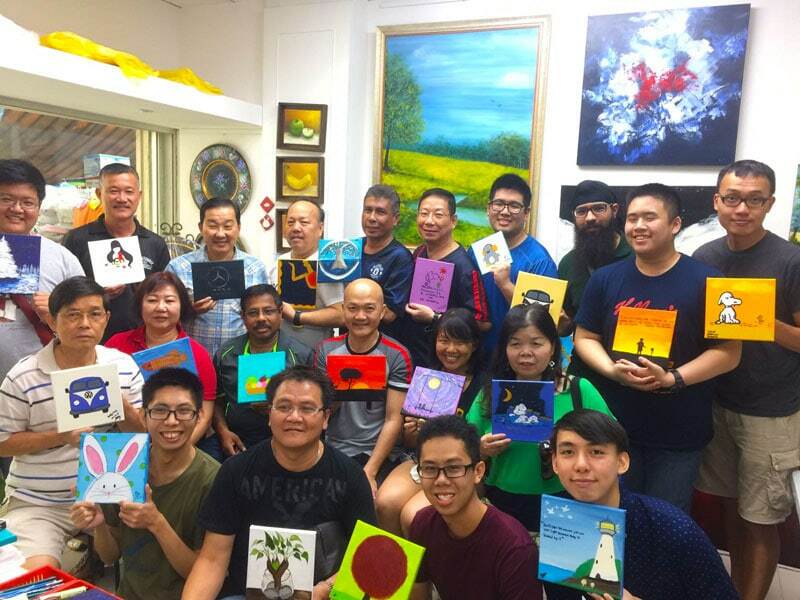 Art Jamming is a fun activity where every person is free to create a work of art on their own or with some guidance from a facilitator. Art Jamming with the team can be a party in itself. Here are some ideas for team bonding with art. Food and drink are great with jamming. Paint small individual pieces, when put together forms a bigger picture. Outdoors jamming at a corporate picnic. Heartroom Gallery has worked with many companies, schools and organizations in providing team bonding session through art. Our location is ideal for a more intimate setting. We have also catered for jamming sessions for as many as over 300 participants. Art Jamming can also be held both indoors or outdoors. Contact us to arrange for your team bonding with art. We have classes in Decorative Painting, Acrylic Painting on Canvas, Chinese Brush Painting and Manga Drawing. I’m inquiring about my Department retreat. It will be on 26th July, and there will be approximately 150pax, students and staff inclusive. What will the rates be? Hi, Angeline. Happy to help with the retreat. Sent an e-mail to you to get more details from you. I’m inquiring about my Department retreat. It will be on 27th July, and there will be approximately 16pax. What will the rates be? Thank you for contacting us for our Team Building with Art. I will email directly to you to obtain more details. I’m inquiring about my company recreation program. Approximately 12pax. What will the rates be? Hi Chloe, thank you for contacting us. Will email you directly with your inquiry. I’m inquiring about my company recreation program. Approximately 20-30pax. What will the rates be? Hi Ingrid, thank you for inquiring about our Art Jamming Team Building services. Will be happy to get back to you directly via your email. I’m inquiring about my Department retreat. there will be approximately 16pax. What will the rates be? Hi Wai, happy to get back to you on helping you with Art Jamming during your department retreat. Will get back to you via email to get some details from you. Hi, I am inquiring for our team-bonding retreat for 120-150 pax and I like the idea of art jamming with corporate picnic. Can you provide me a quotation proposal on this? Thank you. Hi Rosalind, thank you for contacting us. Yes, outdoor art jamming events can be fun. We have done quite a few of these. Will contact you directly to get some details. I am enquiring on the Art Jamming team retreat for around 10-12 paxs. Will appreciate if you can provide me with the rates. Hi Llewell, sorry to have missed your comment on our website. Will get back to you regarding your art jamming request. Hi I would like to inquire about team building art jamming for 10-11pax in Nov. Thank you for contacting us. Will reply back to you directly via email. I am enquiring for art jamming of 7-8 pax for my company on 20 Dec morning or noon. What’s the rate like? Hi Pei Pei, we seemed to have missed your message. Will reply to you directly via email. Hi, thank you for contacting us on our Art Jamming sessions. Will contact you directly via email. Hi there! I would like to inquire about team team building art jamming for 7 pax on 18 Dec, 9am-1pm. Thank you for contacting us. Will email you directly on your Team Building Art Jamming event. 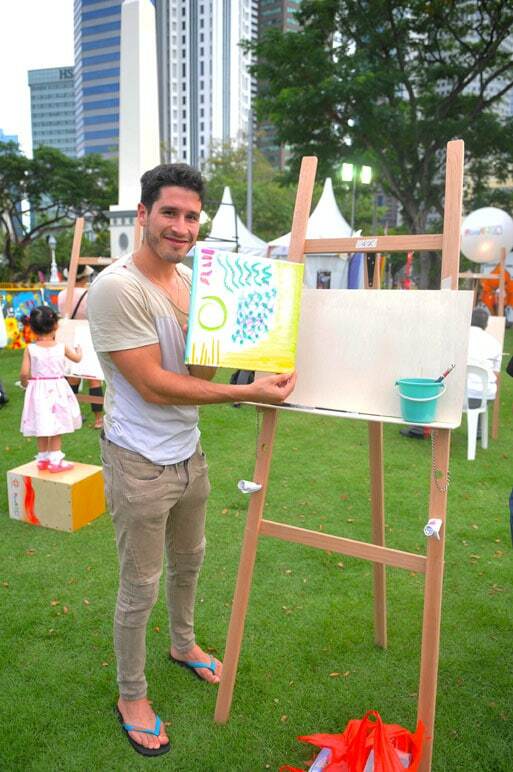 Hi, would like to enquire on an art jamming package for a corporate event. Hi Shi Ling, Thank you for contacting us for your corporate event. Will email you directly on your inquiry. Age Requirement: Are there any requirments? Event setup: Any private room to hold this corporate event? Instructor : Will there be any instructor or guidance provided? If not, how much is the charges? Hi Jovin, Just saw this comment. I believe that we have already confirmed your event on the 21st Apr. Hello! Would like to inquire about team building art jamming for 6 pax, thanks. Hi Wan Yi, apologize for missing this question in the comments section. Will be happy to get back to you on your inquiry for a team building art jam. Will email you directly. I’m inquiring about my Department team building event for approximately 12pax. What will the rates be? We are looking at 15 May 2018. Pls email me the details. Will be happy to get back to you for your Department team building event. Will get back to you via email. Hi I have a team of 21 of us looking at art jamming. May I know what’s the rate? 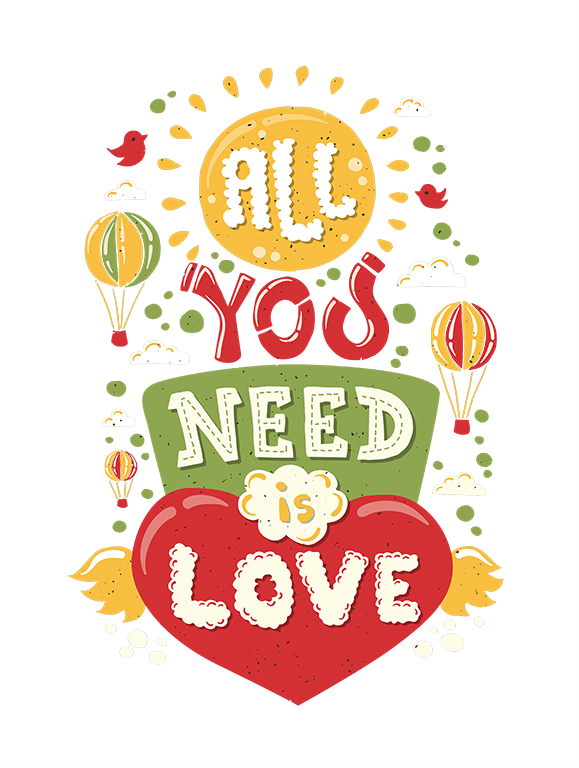 Hi Yvonne, thank you for contacting us for your Art Jamming for your team. Will contact you directly via email. Hi, apologies. Will send you a mail immediately. I am organizing a corporate team bonding activity for 57 pax. Hope to get quotation for this amount of participants. Hi, apologies as we just saw this. Will contact you directly via email. Hi, would like to enquiry art jamming package for our department event on Oct 2018 about 80-100 colleagues. What will the rate be? Pls email me the details. Thank you. Thank you for contacting us for your department Art Jamming. For something of that size of 80 to 100 persons as our location can hold at most 60 to 70 persons. You will have to find a location to host the event. However, we can provide the services and all the necessary materials for the event. Will contact you directly via email. I would like to inquire for Art Jamming Package for 8 colleagues on 22nd Oct.
Hi Liana, thank you for contacting about our Art Jamming package. Will email you directly via email. Hi can i enquire about the rates and availability for a art jam package for about 25pax on 1 May 2019. Thanks. Hi Jessalyn, thank you for your inquiry on our Art Jamming packages. Will get back to you via email directly. Hi Yun Tong, thank you for your inquiry. Will send you an email as we need the timing and some details as well. Hi I am enquiring on my behalf of my department for approx 20 pax on 19 Nov for an art jam activity that will last 2-3 hours. Thank you for contacting Heartroom Gallery. Will email you back directly on your inquiry. Hi, I’m inquiring for my company recreation program. The date is not confirmed yet but there’ll be approximately 30-40 pax. What will the rates be? Hi Zoey, thank you for contacting us. Will email you directly via email. I’m inquiring for a corporate event. Approximately 150pax, would like to do a big painting for company 50th anniversary. Do you provide venue for this size and what is the rate per pax. Hi Cher, thank you for contacting us. Will reply back to you via email.